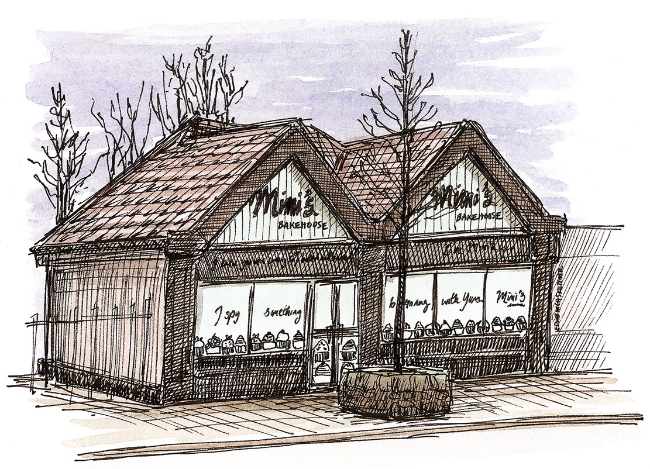 After successful launches in firstly The Shore, Leith and more recently the High Street in Edinburgh’s Old Town, Mimi’s Bakehouse has today opened the doors on their Corstorphine branch. I visited earlier this week to sketch the exterior of their St John’s Road store, so you will recognise it as you search for your coffee and cake fix this afternoon. Do pop in and try their now famous home baking and wish them well on what I’m sure will be another hugely popular branch of their family run business. Sketch in fine liner pen with a watercolour wash.